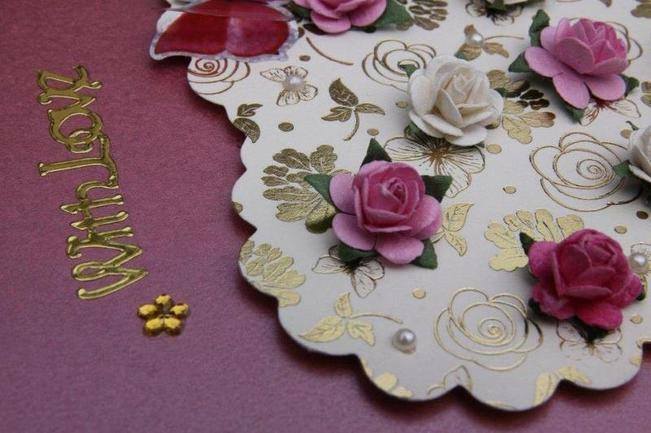 A soft rose pearlised card with a raised cream and gold scalloped edged heart decorated with pink and cream paper roses and tiny seed pearls. 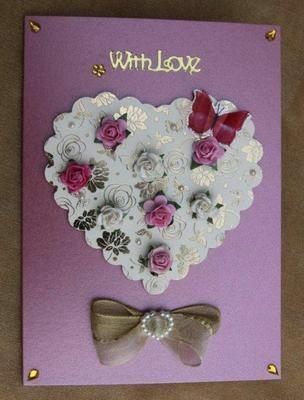 A seed pearl heart hugs a 2-tone gold ribbon bow and the words 'With Love' are in gold. A pink dimensional butterfly adorns the heart. The message on the paper insert reads 'Wishing You a very Happy Birthday' or choose an alternative below.